And I said, “what’s back? I don’t know what it is.” So then he told me it was a weak fish. The weight of the fish qualified for 2nd place in field and stream magazine. Altenkirch weighed the fish and entered it in field and stream fishing contest. Some fisherman in FL caught one 6 oz. bigger and won a boston whaler and I got a little pin. But I didn’t have it on ice overnight, so it could have lost some weight. After I caught this fish they started showing up and people started catching them. 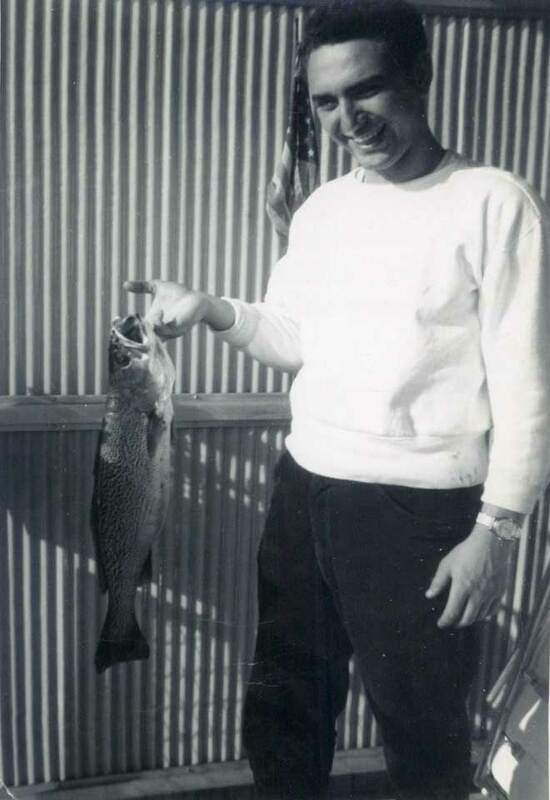 Here’s my mom, Anne, holding the weak fish. She was always a good sport when I brought fish home!